Look up “decadence” in the dictionary and you’ll find Guli’s desserts. Have a sweet tooth that needs satisfying? (Don’t we all?) 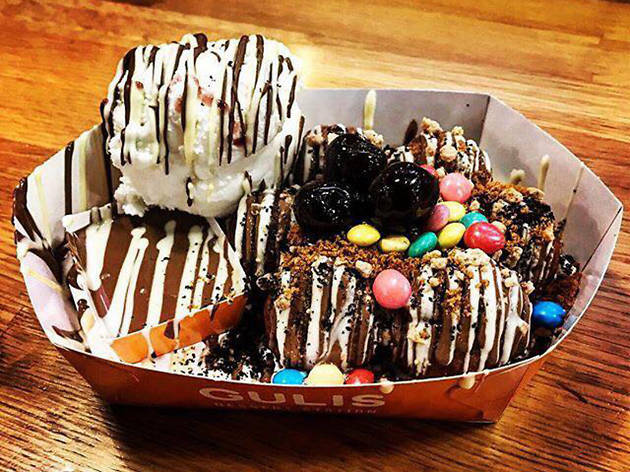 Dessert lovers rejoice at Guli’s Desserts in Sarona Market. 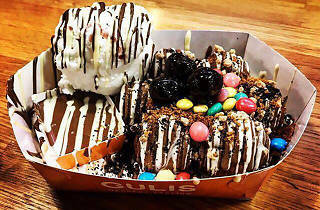 Choose a Belgian waffle or donut holes as the base, smother it with Italian ice cream, and choose from a huge array of toppings to add to your decadent creation. First, gawk at how pretty it is. Then sit down and savor every last bite of heavenly, sugary goodness.